Arrow Tools are pleased to be the sole distributer for Padley & Venables contractors tools. 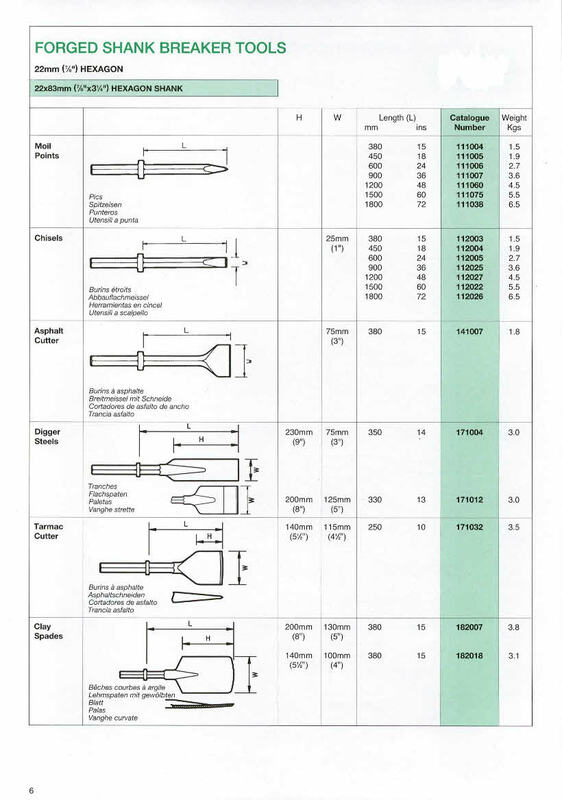 P&V are the only UK manufacturers of contractors tools and our close working relationship with P&V means we offer a true 'manufacture to end of life' service for every tool we sell. We carry large stocks of all types of steels, both contractors and electric hammer types, ready for immediate despatch either via our own national distribution network or via carrier for urgent requirements. All orders delivered on our own transport network is free of any carriage charges. 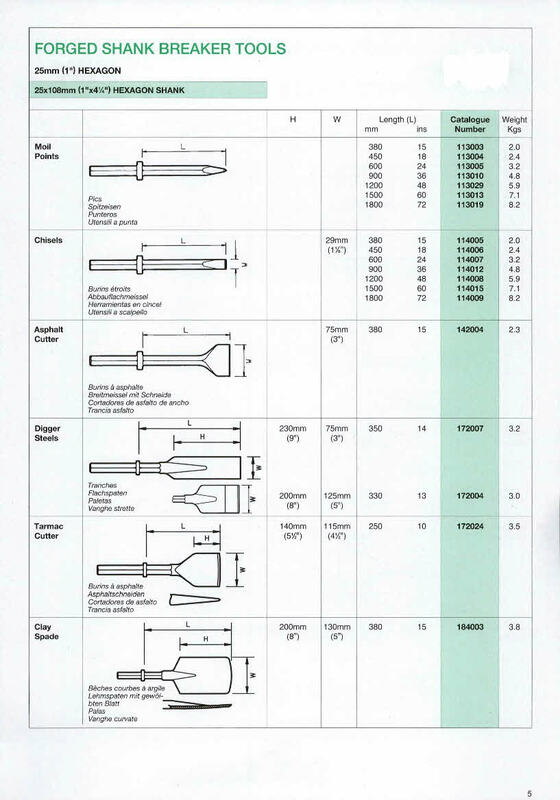 Our quick reference guide, page by page, is listed below for ease of identifying tools with their dimensions and part numbers.